Electrical Stimulation and EMG-Triggered Stimulation can improve upper extremity function and decrease shoulder subluxation. Electrical Stimulation can reduce spasticity. Arm training using an Upper Limb Robot-Assisted Therapy Device can improve motor recovery of the shoulder and elbow. Exercise and cardiovascular training using equipment like an Exercise Aid or Arm Bike are beneficial for stroke patients. Virtual Reality/Exercise Games and Biofeedback can improve motor function. 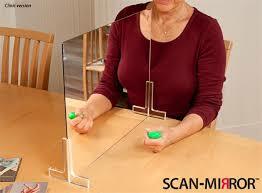 Visual Imagery, such as Mirror Therapy, can reduce pain, improve visual spatial neglect and reduce motor impairment. A Hand Function Splint can improve independence, facilitate movement, support a weakened joint and result in improved motor recovery when combined with task-specific training. Unweighting the arm with a Mobile Arm Support can improve motor recovery and assist with functional tasks. Repetitive task-specific training, such as Constraint-Induced Therapy, can improve motor function. Mental practice (rehearsing tasks mentally), in combination with other treatment, can improve upper extremity function. Botulinum Toxin (Botox) decreases spasticity and increases range of motion. Subluxation Slings can prevent shoulder subluxation and reduce pain. Exercise and cardiovascular training using equipment like an Exercise Aid or Leg Bike are beneficial for stroke patients. Electrical Stimulation and EMG-Triggered Stimulation can improve walking ability. Lower Limb Robot-Assisted Therapy Device can improve functional walking performance. A Foot Drop Brace can improve ambulation. A Lower Limb Contracture Splint can prevent ankle contracture. Virtual Reality/Exercise Games and Biofeedback may enhance gait performance. Balance training may be beneficial to stroke patients. Gait training (i.e., treadmill training) with Body Weight Support can be beneficial. Mental practice (rehearsing tasks mentally) can be beneficial for transfers and mobility. Computer-based scanning therapy, such as Visual Motor Training and Virtual Reality/Exercise Games can improve visual neglect. Wearing Visual Aids, like Prisms, may improve functional performance with every-day tasks. Prisms can be used to reduce the apparent visual field loss by shifting visual stimuli from the blind field into the patient’s seeing field. These prisms are fitted to glasses but need to be restricted to just one half of each of the lenses (typically on the side of the blind field). Visual scanning techniques can improve visual neglect with associated improvements in function. Compensatory training (adapting to the vision loss) can significantly improve search performance and efficiency. An Arm is a stationary cycle designed to strengthen and condition the upper body, as well as the cardiovascular system, by using the arms. A Leg Bike is a stationary cycle designed to strengthen and condition the lower body, as well as the cardiovascular system, by using the legs. Lower Limb Robot-Assisted Therapy consists of an electromechanical device, designed for the leg, that is used to assist users (through powered mobility) with exercise training and activities of daily living (ADL). Upper Limb Robot-Assisted Therapy consists of an electromechanical device, designed for the arm or hand, that is used to assist users (through powered mobility) with exercise training and activities of daily living (ADL).